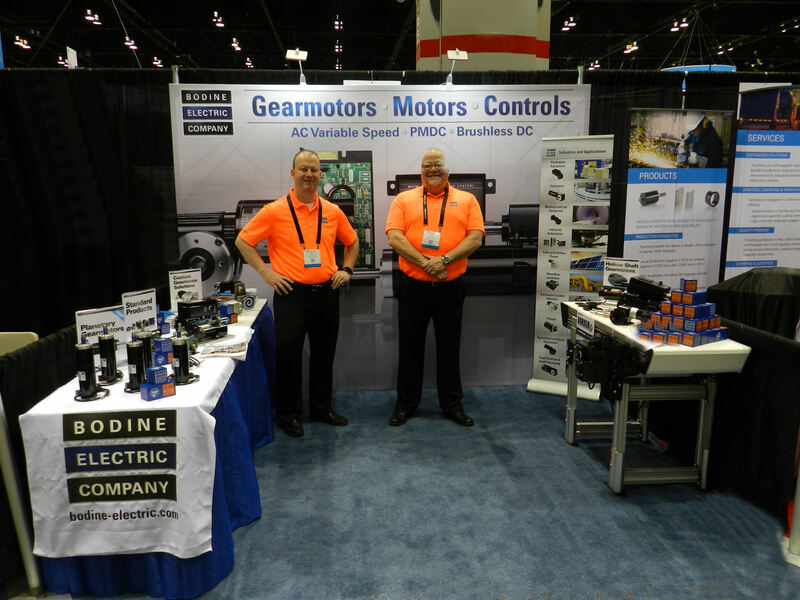 Blog > Bodine Electric Company Bodine – Gearmotor Blog – Page 2 – We Drive the World's Leading Products! Saw lots of robots, automation, AGVs. See you in 2019! Copyright Bodine Electric Company © 04/2017. All rights reserved. 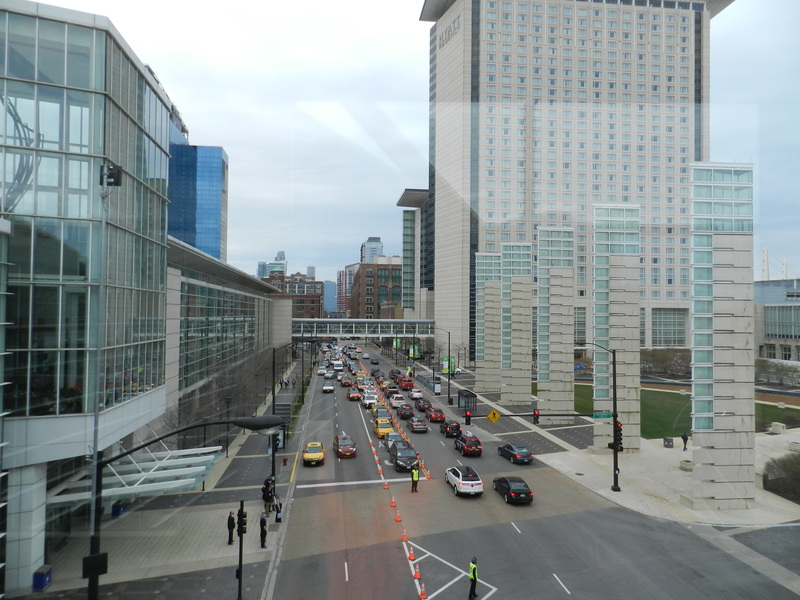 We had a great opening day at the Automate Show in Chicago (McCormick Place). Stop on by if you are in the area. This week only. Copyright Bodine Electric Company © 04/2017. All rights reserved. 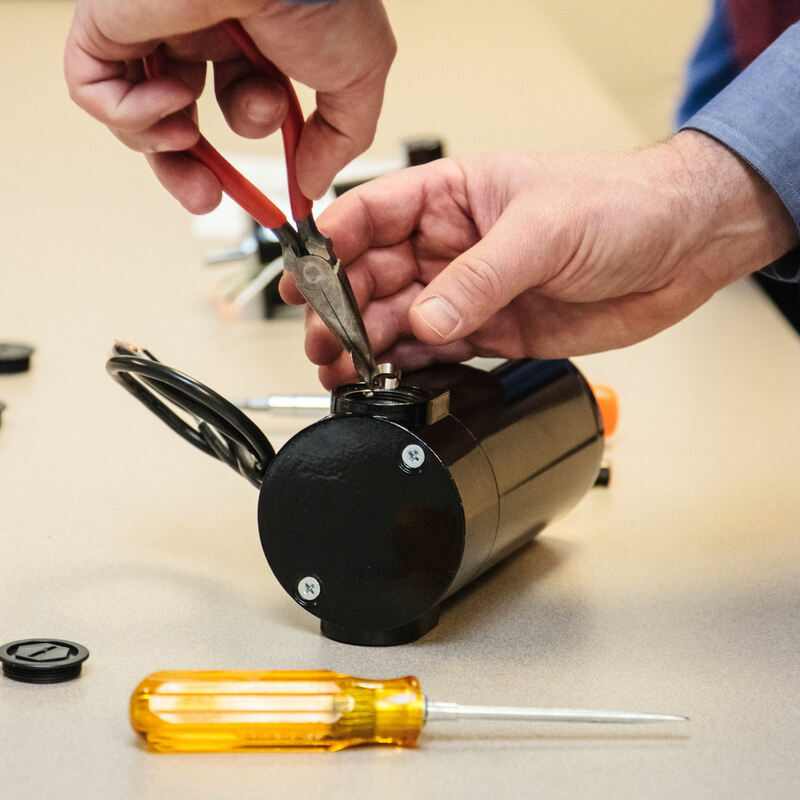 We are proud to be featured in Design World Magazine’s 2017 Leadership in Engineering program. 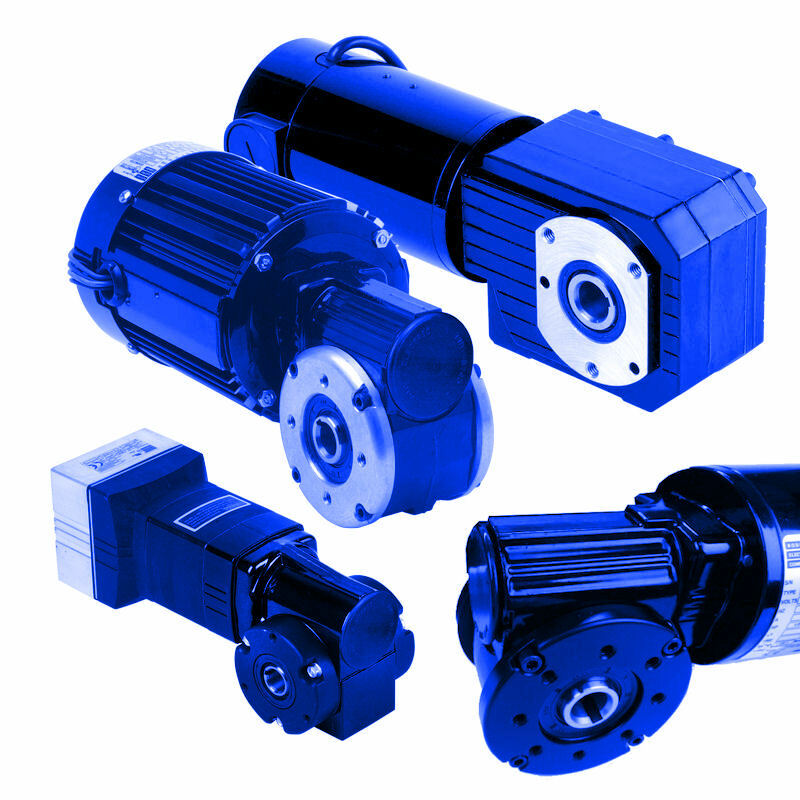 Bodine Electric has a long history and tradition for developing highly engineered AC, PMDC, and BLDC #gearmotors, motors, and motion controls. Vote for us! Thank you. 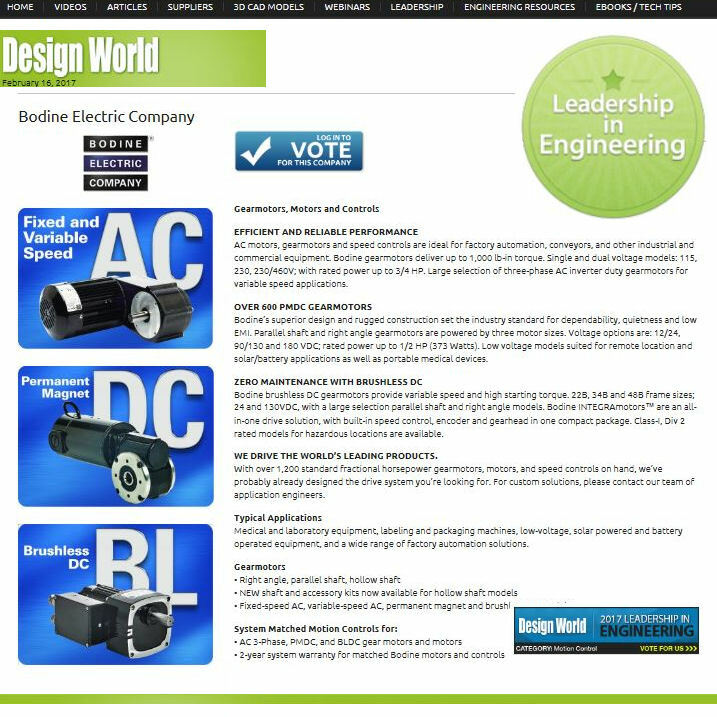 http://www.designworldonline.com/leadership-companies/bodine-electric-company Copyright Bodine Electric Company © 02/2017. All rights reserved. 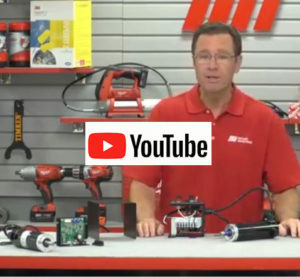 Learn how to replace brushes in a 33A or 42A PMDC gearmotor. 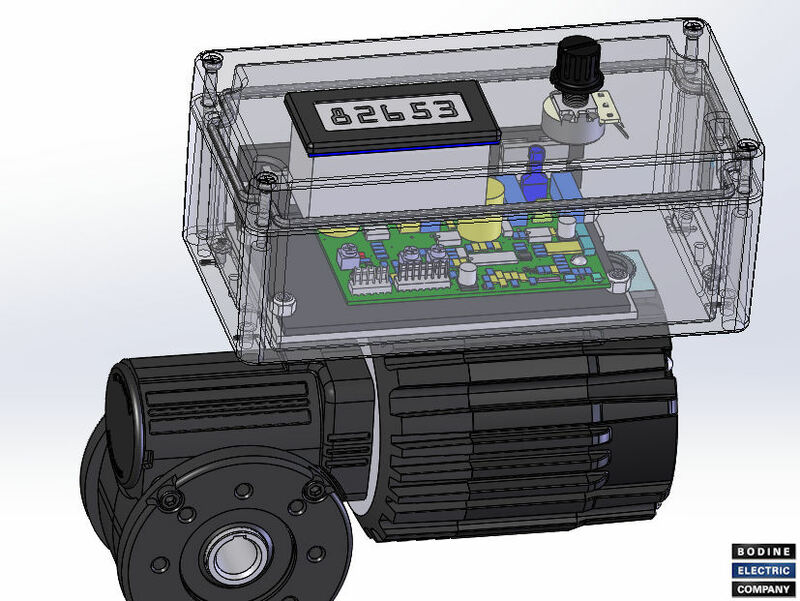 To get the details click here: http://goo.gl/pH1LcQ (PDF download). Happy New Year with #fractionalhorsepower #gearmotors #madeintheusa Copyright Bodine Electric Company © 01/2017. All rights reserved.